If you love steamed seafood, the steam pots are here! Don’t miss Captain V.P.’s steam pots. I saw one today. It looked wonderful. I’m going back next week for one. This is the picture of a steam pot is stuck in my mind. 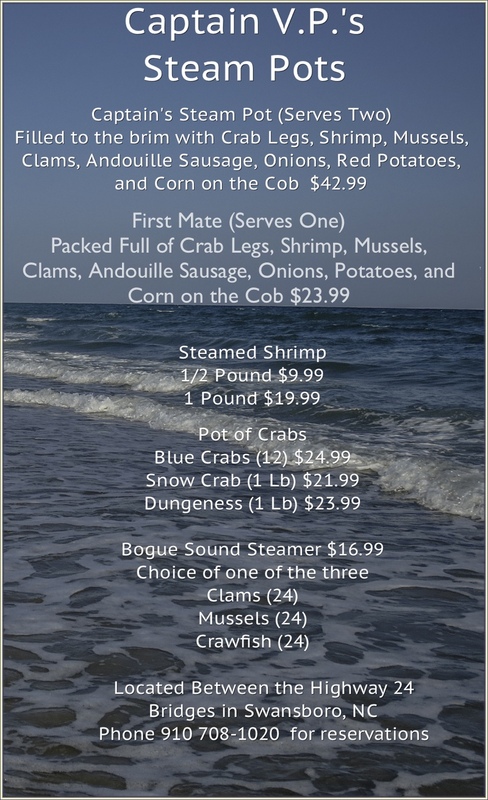 Here is their steam pot menu on the web and as a picture. This is their lunch menu and their dinner menu.